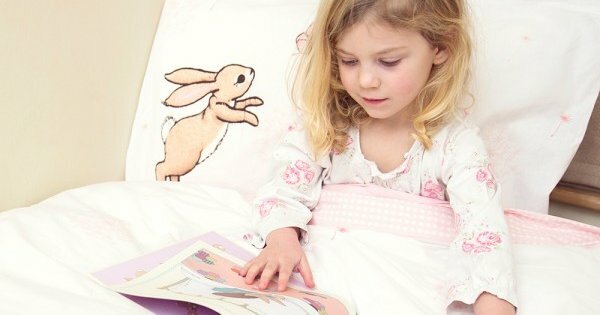 For linen as sweet as can be and wall decals that are new, it’s pure storybook worthy enchantment from a little girl named Belle and her too-cute-for-any-burrow bunny friend, Boo. We’ve been loving all things Belle & Boo at Babyology HQ for quite some time and who can blame us. Every time we feast our eyes on a Belle & Boo piece, it’s like stepping into a magical time machine that takes us right back to our own childhood. A collection full of classic, dare I say it, old school decorating fun for little people. We adore the latest additions to the Belle & Boo showcase. 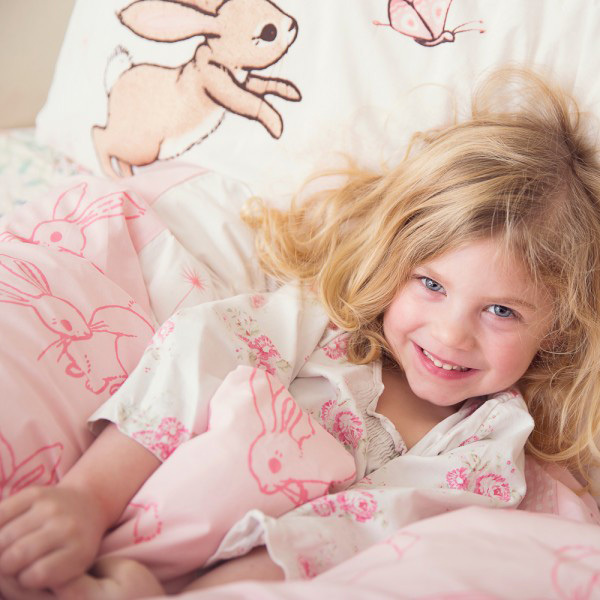 The single sized Dandelion Duvet Set (priced £30) is illustrated beautifully on one side with Belle blowing on soft pink dandelions while Boo is otherwise busy with a butterfly. The underside is a contrasting pink print of tumbling Boos the set comes with a gorgeous coordinating pillowcase. Match the duvet set with the Dandelion Wall Sticker (priced £30) for a perfectly pretty decorating statement. Belle stands at 67 centimetres tall, the scene includes 11 stickers and is completely self-adhesive and can even wrap around corners, which would be particularly fancy for these floating dandelions! The Dandelion Duvet Set and Dandelion Wall Sticker are both available to purchase direct from Belle & Boo, with delivery to Australia available. If you’re quick, you can have it in time for Easter.